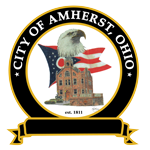 Planning Commission meetings are held at 206 South Main Street, Amherst, Ohio in Council Chambers on the last Wednesday of every month at 6:00 pm. The Planning Commission has the authority to regulate subdivisions, provide for the arrangements of streets, highways and regional plans. The Planning Commission approves lot splits (Ord 1107.01) and determines traffic impact (Ord 1111.01c) in the case of Commercial new development or additions. Any new development and/or changes in an I-1 District must be recommended to the City Council Industrial Review Committee for approval (Ord 1141.07). The Planning Commission meets the last Wednesday of every month at 6:00 pm. Applicants must submit a copy of the plat/property clearly showing the buildings or addition, with all measurements, surrounding buildings, parking area and landmarks. A Planning Commission application can be obtained on this website or at the Building Department. There is a non-refundable fee which must be received, along with the plans, twenty-eight (28) days prior to the scheduled meeting. 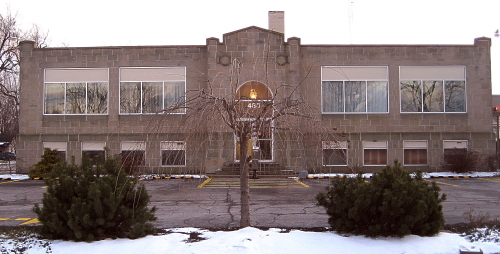 Applicants (or their agent) are required to attend the meeting and will receive an agenda prior to the meeting date. All applicants will receive a copy of the approved meeting minutes.